Shreyasi Singh at the 2018 CWG in Gold Coast, Australia. 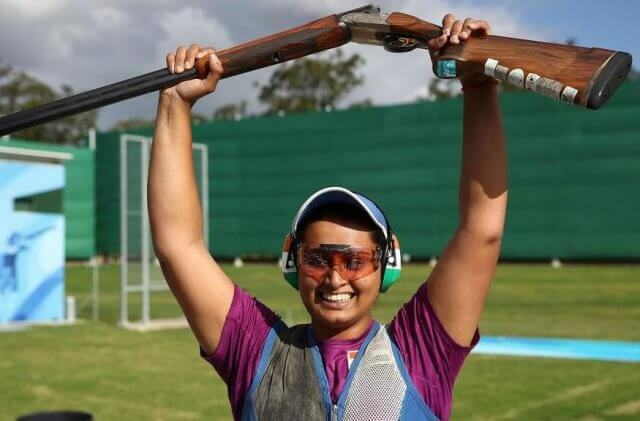 Shreyasi Singh held her nerves to win gold in Women’s Double Trap at the 2018 Commonwealth Games in Gold Coast, Australia. Shreyasi shot a score of 96 and looked destined for a lesser medal as Australia’s Emma Cox only needed 19 hits in her last round to claim the gold. But as it happened, the Australian could only manage 18, missing 12 targets including her last one, to end up tied on 96 with Shreyasi. In the shoot-off to decide the gold, Shreyasi shot both her targets while Emma missed her 2nd to settle for the silver. With this win, the 26-year-old Shreyasi also became the first Indian woman to win a CWG gold in a shotgun event. Varsha Varman finished 4th with 86, missing out on a bronze by a single point to Scotland’s Linda Pearson, who shot 87. 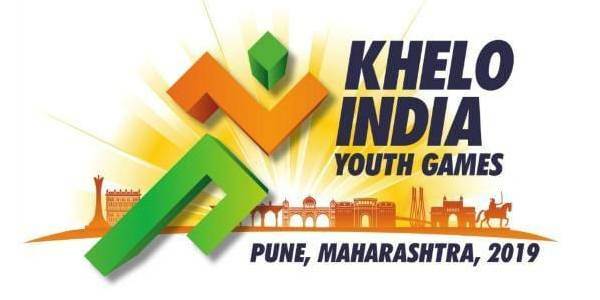 Shreyasi will also be competing in women’s trap on Friday. 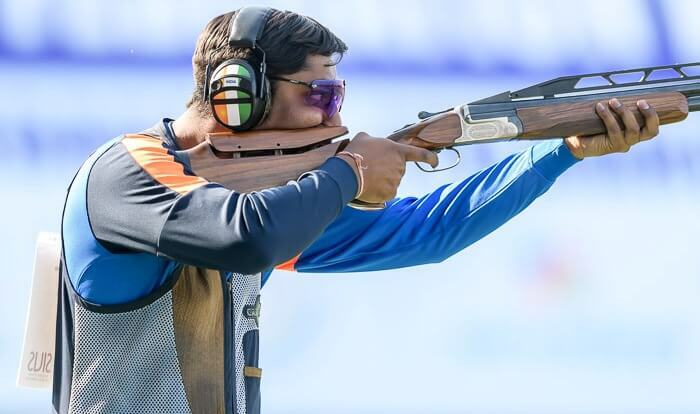 The 26-year-old Shreyasi, whose grandfather and father served in the National Rifle Association of India (NRAI) as it’s president, had won the silver at 2014 CWG in Glasgow and followed that by winning a bronze at the 2014 Asian Games in Incheon. Ankur Mittal added to the medal rush by winning a bronze in the Men’s Double Trap with a score of 53. Mohammed Asab shot 43 to finish 4th, a climbdown from the bronze he had won at the 2014 CWG in Glasgow. Scotland’s David McMath won the gold with a new CWG record of 74 while the silver was won by Tim Kneale of Isle of Man with 70. Ankur and Tim were tied at 53, but the Indian had to settle for bronze because Tim had qualified for the finals with a higher qualification ranking. Earlier in the qualification, Asab shot 137 while Ankur shot 133 to make it to the finals. Om Prakash Mitharval won his second medal at the Games, winning bronze in Men’s 50m Pistol. Mitharval, who won the air pistol bronze two days ago, shot a score of 201.1 to win another bronze. Defending champion in the event Jitu Rai, who had won the air pistol gold, finished 8th with a score of 105.0. Mitharval had earlier topped the qualification with a score of 549 while Jitu shot a below par 542. Australian Daniel Repacholi shot a CWG record of 227.2 to win the gold while Shakil Ahmed of Bangladesh won the silver with 220.5. Women’s Double Trap: 1. Shreyasi Singh – India (96+2); 2. Emma Cox – Australia (96+1); 3. Linda Pearson – Scotland (87); 4. Varsha Varman – India (86). Men’s Double Trap: 1. David McMath (Scotland) 74 GR (137) Tim Kneale (Isle of Man) 70 (135); 3. Ankur Mittal (India) 53 (133); 4. Mohammed Asab (India) 43 (137). Men’s 50m Pistol: 1. Daniel Repacholi (Australia) 227.2 GR (546); 2. Shakil Ahmed (Bangladesh) 220.5 (545), Om Prakash Mitharval (India) 201.1 (549); 8. Jitu Rai (India) 105.0 (542).